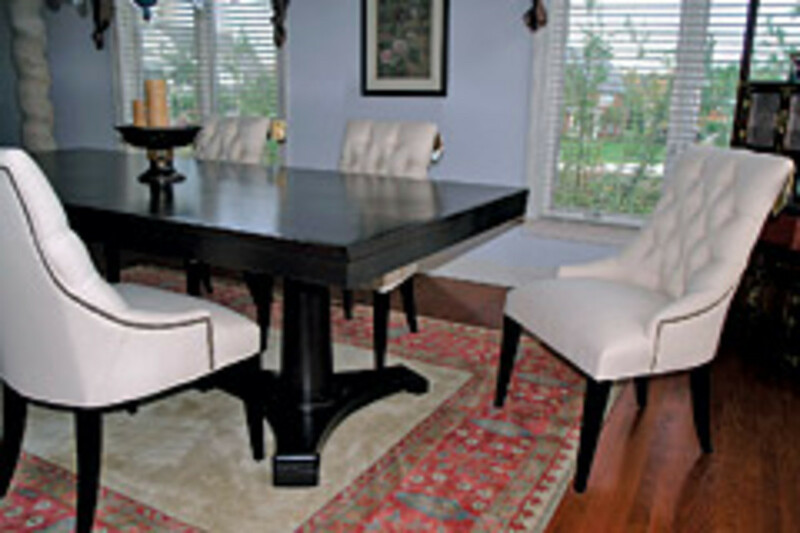 Furniture maker Tarik Yousef (TARik youSEF) is a traditionalist. 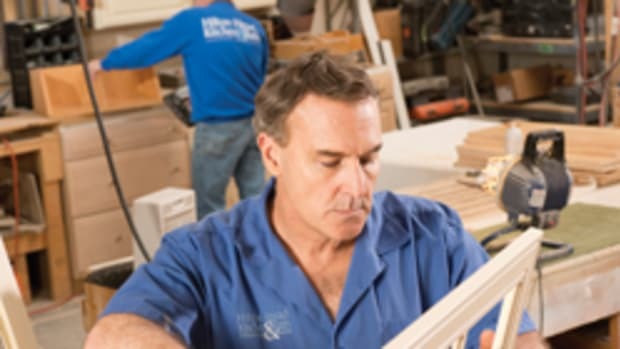 His shop in Raymond, Ohio, includes a generous assortment of the kinds of woodworking machinery found in nearly every American cabinetmaking shop in the last century: a Grizzly 10" table saw, 6" jointer and 2-hp shaper, and a Cummins 14" band saw. He also makes use of traditional joinery — often leaving it exposed in the fashion of many late 20th century makers — and he works in the context of traditional forms: beds with frame-and-panel head and foot boards, round dining tables on tripod bases, and side tables with cabriole legs. Owner of: Tarik Yousef Fine Furniture, Ltd.
Shop size: 3,200 sq. ft. But he is also a citizen of the 21st century. 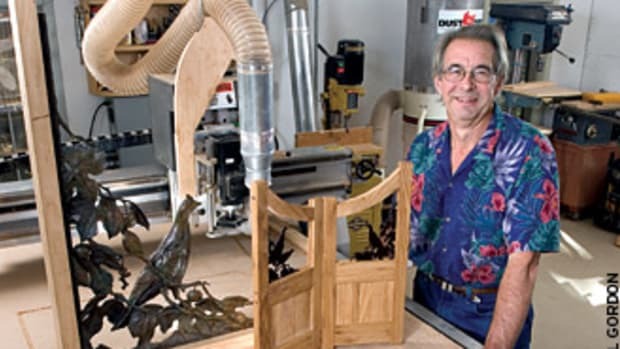 His tool collection includes a CNC machine he designed and built himself. 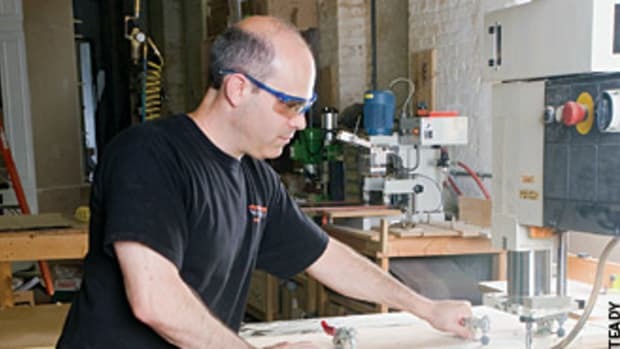 He evaluates joinery using Finite Element Analysis software, and he works out design problems using 3-D software. 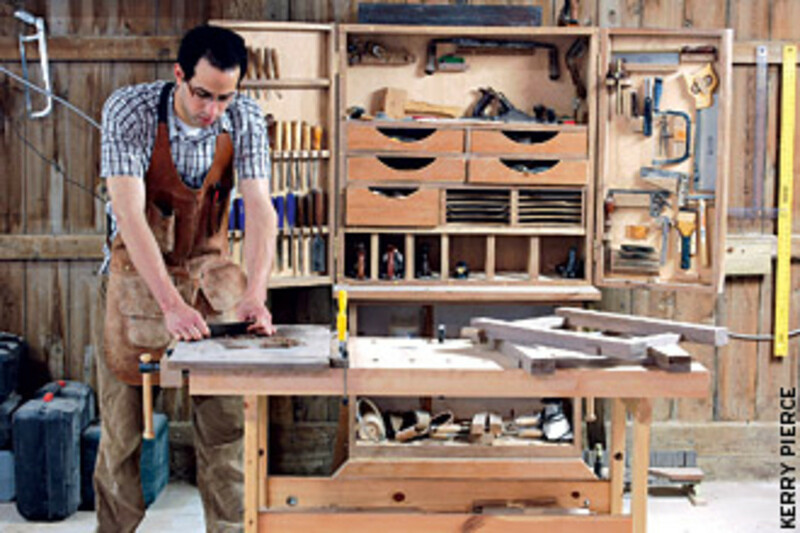 At 25, Yousef — and others of his generation — represent the future of American cabinetmaking, a future that will blend traditional forms and techniques with the promise of digital technology. Yousef’s father, a professor at Ohio State University, wasn’t a woodworking hobbyist, but in both middle school and at Upper Arlingon High School (Yousef’s instructor there was Dana Schoenlab), Yousef was enrolled in strong woodshop programs that piqued his interest and equipped him with a solid foundation of skills. Since then his technical instruction has consisted only of what he has been able to teach himself by reading books and magazines and, more importantly, by experimenting in the shop. 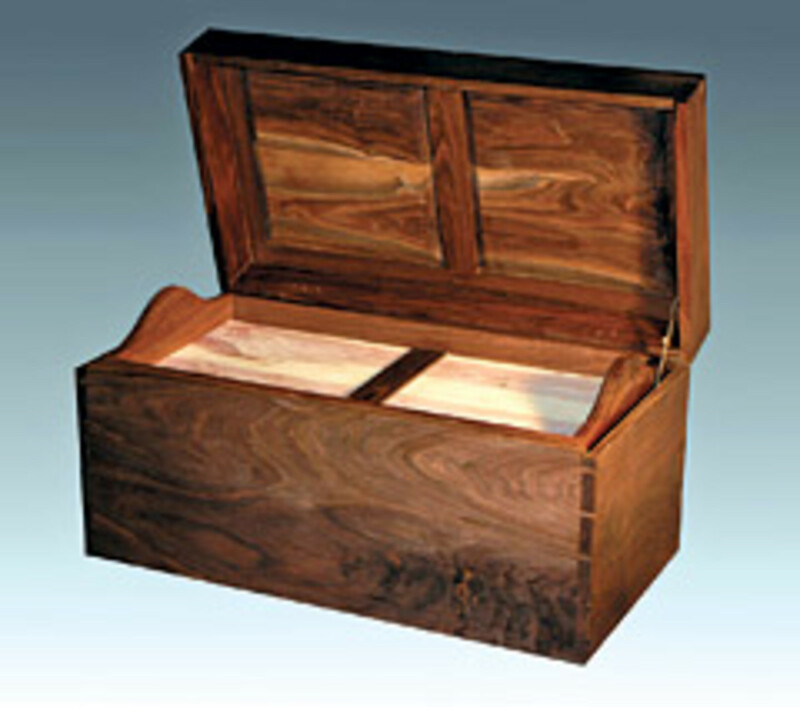 In fact, Yousef has consciously chosen to learn woodworking in his own way. While studying mechanical engineering at Ohio State, Yousef took a job as a manager at a campus-area coffee shop called the Shisha Lounge. 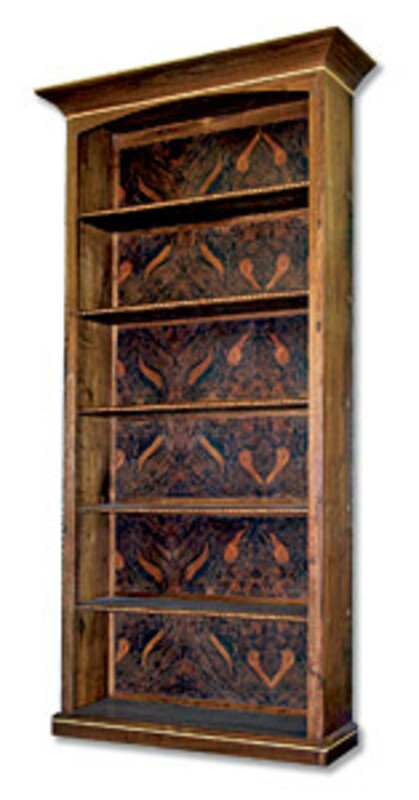 This shop needed furniture — display cases, tables, and several large couches — and Yousef offered to build this furniture. Then, after his work had been installed in the coffee shop, customers who saw and admired it began to approach Yousef about making furniture for their homes. At this point, Yousef was working in a 400-sq.-ft. space in the basement of his apartment building, and he realized that in order to produce work of the quality to which he aspired, he needed a larger shop. As a result, he took a shop space in an empty warehouse near the German Village district in Columbus. The warehouse was being converted to artists’ studios and shops. In this location, Yousef was surrounded by a variety of craftsmen — painters, sculptors, filmmakers and potters — creative people of every stripe. His time there was important not only for the space it provided, but also for the artistic cross-pollination that occurs when an artisan working in one medium discusses problems with artisans working in other media. Also at this point, Yousef realized he needed to commit a greater share of his time to his new trade, so in 2003 he shifted from being a full-time mechanical engineering student to being a part-time one so he could better meet the demands of his woodworking business. 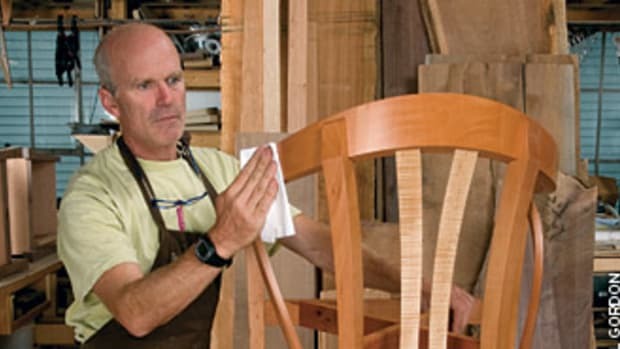 This delayed his graduation from Ohio State until 2005, but it did give his furniture-making business a jump-start. After several years in the German Village location, Yousef decided he needed more space and more electrical service than the warehouse could provide if his business was to continue to grow. He searched the area and found what he needed a half-hour’s drive northwest of Columbus, near the Marysville Honda plant. The property included a comfortable two-story frame home in which he now lives, but Yousef selected the property because it included a large metal building that could be converted into a woodworking shop. This conversion began with the pouring of concrete slabs to cover the building’s original gravel floor. He then brought in 200-amp electrical service, partitioned off a large wood storage room, and rewired the shop, installing outlets and lights all around the perimeter of the shop’s 42&apos; x 60&apos; main room. He is currently partitioning off a room to be used as an office, and a large finishing room has already been partitioned off. 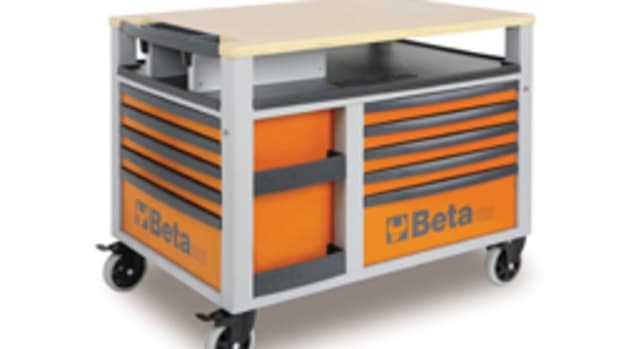 Fairly early in the design process, he uses Finite Element Analysis to evaluate joinery options for particular designs because, although he often relies on traditional wood-to-wood joinery, he is “interested in the more modern joinery” as well, with threaded metal inserts being one example. 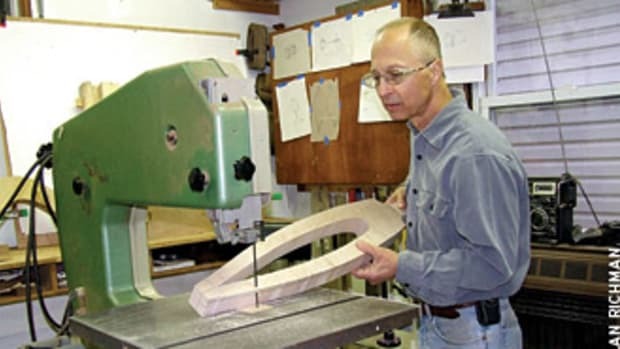 Once he has established a design on paper and on the computer, he begins to assemble mock-ups, each of which will represent either a variation in design or a variation in joinery. Only then, after he has determined the optimum form and joinery, does he begin to construct the piece itself. His current design work falls into two distinct categories. On the one hand, he is continuing his work as a designer of custom furniture. Recently, for example, the Franklin Park Conservatory in Columbus asked him to design a non-functional, but traditional-looking wing-back arm chair that would incorporate actual cacti from the conservatory’s collection. Yousef experimented with several versions of the traditional wing-back, and then decided to go off in a different direction. “We developed a ribbed structure that would be designed and built in a way that would provide each cactus a firmer support and also prevent any possibilities of the outer mesh layer from sagging under the cacti weight.” He then moved into the shop where he began constructing mock-ups of this chair in wood. He is also working on a line of spec furniture he hopes to market through retail stores. 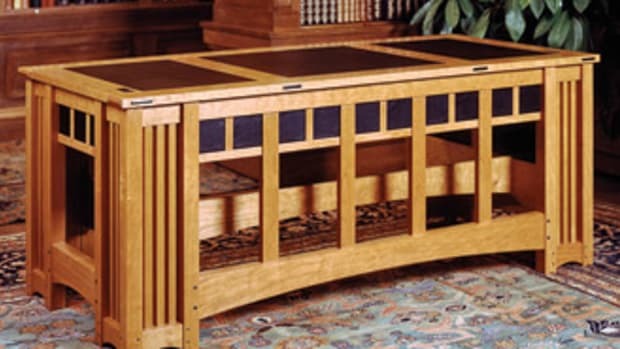 His goal is to produce a line of “really low-volume, high-end, high-quality furniture. 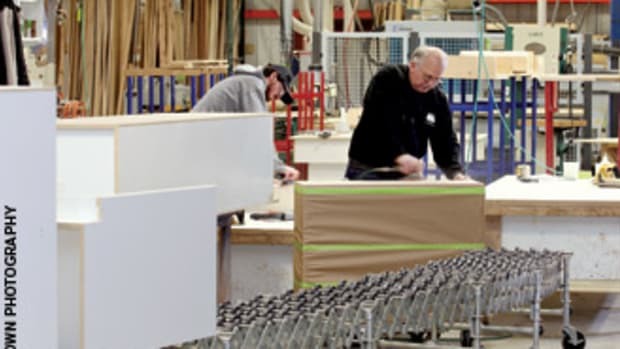 Each piece will be made to order and by hand.” In part, the development of this line is driven by a desire to help purchasers of custom work articulate the kinds of forms and details they want to see in their custom furniture. Yousef has not taken the conventional approach to the acquisition of customers. He has, for example, done no wholesale or retail shows. Instead, he has embraced the power of the Internet to get the word out to potential customers, using a Web site that offers visitors a photographic review of his work, as well as a summary of his philosophy as a craftsman. The most important component in his marketing program is word-of-mouth, one satisfied customer telling friends and neighbors about the work produced in Yousef’s shop, but he recognizes that word-of-mouth alone is not enough to feed his business, that he must continue to develop a robust approach to selling. Yousef’s father, a successful college professor, was surprised when his son opted out of a career in mechanical engineering, a career for which he’d prepared during four long years at Ohio State.